Buy discount Jewelry not cheap jewelry. Might sound like a fancy cliché but it is genuine statement. Really you should not buy cheap jewelry! For over 25 years I have sold jewelry wholesale, I have owned a Jewelry factory in Asia for 8 years and my brother Paul Sedawie operates in Bali for the last 5 years. 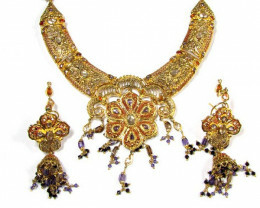 We are wholesalers and have sold hundreds of thousands of jewelry pieces and we DO NOT sell cheap jewelry. Our factories operate under strict quality control that every jewelry piece is wearable and durable. That means it must last under normal conditions of wear and tear. Cheap jewelry is a completely different matter. 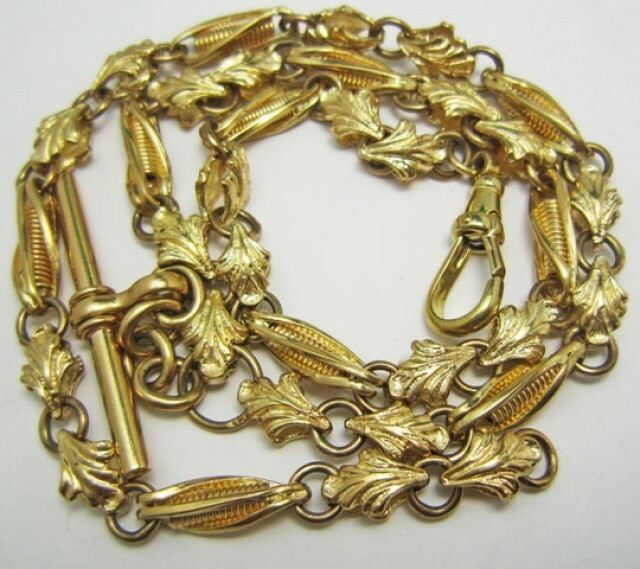 I have many jewelry friends and they have constant problems repairing gold jewelry purchased in those cheap gold sales that department stores have. Silver jewelry they don’t even look at. If it is damaged it’s just thrown out as repairs cost is too much. Even 9k Gold is on border if it can be repaired, or if it is worth it. Problem is that in manufacturing they are making for price so all aspects of jewelry manufacture has to be at minimum requirements. Claws that should hold the gemstone in is minimal or the clasp to hold bracelets or necklaces together is minimal. This means many cheap Jewelry pieces break and this is not covered by seller. Most common problems with cheap jewelry is that STONES FALL OUT. Claws that hold the ring are at minimum settings so if the claw catches clothing the claw is bent. The wearer would not notice that the claw has been bent and the stone will fall out. 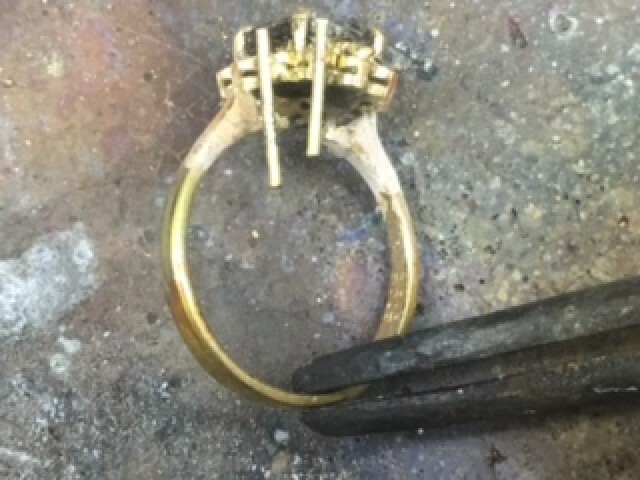 Unfortunately it is difficult to add new claw back as jeweller has to solder a new claw manually and re-polish so adding a claw is the same work nearly to create a new ring. Many cheap jewelry pieces have small pointers around the larger stone and once again claws are minimal and when one small pointer falls out it is difficult to find a matching pointer. A $0.2 cent glass or CZ pointer can cost $40.00 to replace and most jewellers are not interested in repairing it. But if only one coat rhodium plating the jewelry piece will wear quickly as a ring really needs three layers plating to be wearable and last. Many white gold rings are white gold plated so one ounce white 18 k gold will plate hundreds rings so it is not expensive to plate properly. Is jewelry Stone Natural or Man Made? Stones can be diamonds, rubies, sapphires, emerald or any popular gemstone. And how do you tell if it is natural or man made? Many gemstones are now heat treated, which is common in many gems. But its lab created gemstones that are big problem with cheap jewelry. The seller might call the gems fancy name to disguise that it is man made. Old wife’s tale if you can see gemstone bright from few meters away its glass. And still true today especially cheap jewelry. Clasps can also be a weak link. 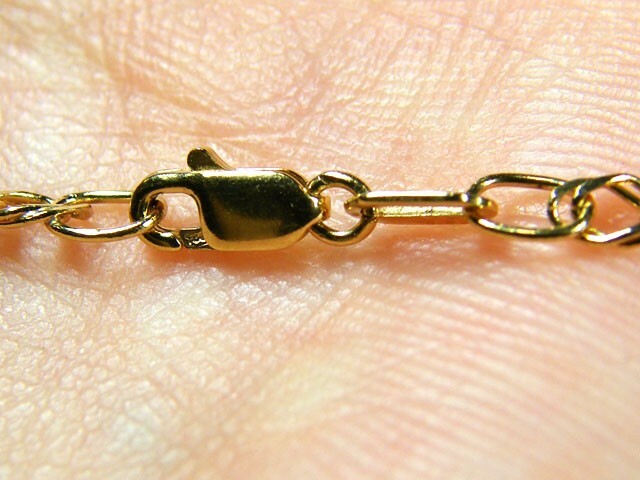 This image shows well made clasp connecting gold chains. But one of the biggest problems is buying silver 925 or gold jewellery that is not as hallmark stamp. Informative information on how to Understand The Meaning Of gold hallmarks. Familiarize yourself with jewelry terminology/ The difference in the words Karat & Carat are good examples: The Gold word KARAT (The purity of the gold) - and the Diamond or gemstone word Carat - (The weight of a gem). There are many kinds of silver around the world is the piece your wanting sterling silver or silver plated. Gold and Silver can both be sold in a thin plating over a less expensive metal. Some of the industry lingo or terminology may seem intimidating when you’re not familiar with it but in today’s world the Internet makes every thing more easy to understand with a quick look up on the net! Browse the site your on and ask the different sellers about the jewelry they are selling if you do not see a good description. GEMROCK AUCTIONS & JEWELRY AUCTIONED offer many different sellers in one selling area that will be happy to assist you and explain the differences between solid and plated gold or silver, or any other items they may be selling. This particular site offers a good description per item and also offers help articles such as this one as well as a chat room - forum for sellers and buyers alike. The forum / chat allows question & answers and best of all buyers and sellers can assist one another. Forum - a chat area on this site is available to aid you with information and will introduce you to other buyers and sellers on the site willing to help each other. This site like no other also offers the help of trained professionals that will come to your aid if you email them with a question. Gemologist offer help through the question/answer service provided by the Gemstone Sheriff or Gemstone Advisory Panel. 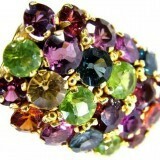 This is a outside service ‘Which is not provided by Gemrock auctions. When buying a wholesale item, close out items, or discount jewelry what ever you want to call it, The main thing is to read the text in between the lines, not that a seller is dishonest but you may have questions tomorrow that you did not realize you have today! So read carefully about shipping fees, shipping time, duty fees from customs if any. Regulations per country since each country may have different rules about shipping precious metals and gems. Read about returning a item each seller may have different return time regulations, This is due to delivery time added to return time, These two combined can turn into a considerable amount of time so confirm return policy with your Seller when you find that perfect item you have been searching for! 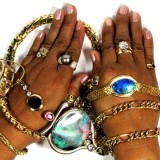 When you do find a piece of discounted jewelry to order make sure your size is available if sizing is a issue. If labour needs to be considered make sure you negotiate with your seller before closing a deal. Do yourself a favour and make a list of questions you want to ask about your purchase so When you do buy the item and receive it you will be happy. When you received your sale item you will find all your research paid off! Before making the final sale look to see if a referral system or feedback system is set up on the site your shopping on. This will show you the ratings of the sellers on this site. If there are multiple stores or sellers on one site they will each have their own ratings. This will allow you to look at past customers comments and ratings on the discounted jewelry pieces others have bought. After your purchase is complete and your happy you can leave feedback for this seller too. Adding to the sales history of the seller. Should there be a problem allow the seller to fix the problem before leaving negative comments. Most sellers are more than willing to work with you if your not happy. They would prefer a happy customer who wants to return again compare to a unhappy customer with future sales lost. Lastly make sure you can pay the seller you have chosen, Before you bid or buy make sure you have some way to pay them already in place. Ask yourself Do they accept credit cards? Checks? Money orders? Find out these things now so you can be prepared to pay immediately after your sale is complete. Did you know You can use your credit card to pay almost any company through the company PAYPAL? This is a long respected, secure site offered worldwide! Does the seller you want to buy from accept PAYPAL? Your may have questions about payment too. You may need to open your own PAYPAL ACCOUNT, You can ask your seller how, they may be able to direct you to the correct link or Gemrock Auctions will. After you bid on a item they have a direct link that will take you to paypal. A MUST KNOW TIP! Today the Economy is rough, So when you buy online the local stores loose sales, your choice to shop online is a personal one. It may be due to medical conditions, Financial savings or just your preferences! Why drive to a store when you can hop online with no gas cost or transportation fees. Regardless when buying online if your getting a second opinion from a local area Store Owner you may find a unhappy recipient, Unhappy because you did not buy the item you purchased from them!! It is all to common for many area jewellers’ to give a bad report on a item you have bought online only because they wanted your business and you did not buy from them! 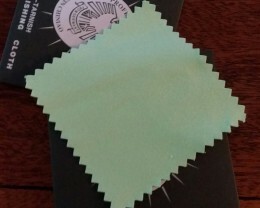 So if your going for a second opinion you may not want to mention you bought the item online! You might just say it was a gift from a family member, You are more apt to get a honest report from the shop owner. It is very common for a local shop owner to try to discourage you from buying online.. A MUST KNOW TIP ! When buying Rings online make sure you know your accurate Ring size, Neck size for Necklaces and Wrist size for Bracelets. A MUST KNOW TIP! Online Photo Colors may vary between Monitors, If you have more than one pc, Lap top in the home look at the item you are interested in on all PCS. Just remember allow for a little difference in color, This is normal due to computer settings, Each computer is different. Ask your seller about color and get more information, You may tell them why your asking due to differences in monitors if they understand they may be able to send you a accurate named color to help you if needed. Make sure you Research all of these Questions before bidding or buying. 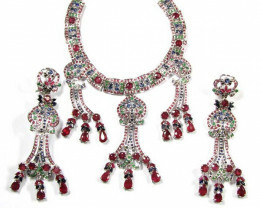 Your buying experience will be much more fun and rewarding in the end if you have planed well for your purchase whether it be for item of little Cost, Maybe a inexpensive piece of cheap costume jewelry, or a fine quality close out ring or a wholesale jewelry gemstone necklace. 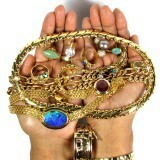 What the Jewelry is called really does not matter as long as the price is right and your needs are met! 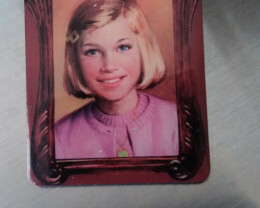 A transaction you can boast about in the end was a well planned experience from the beginning.